When it comes to e-commerce, making it easy for your customers to browse and purchase products is a must. Online shoppers want to find the items they need and add them to their virtual carts quickly. Helping them accomplish that goal is key to boosting sales. By creating a product table that acts as an online order form, you can make browsing and purchasing as simple as possible. Customers will appreciate the user-friendly nature of an order form, especially one that lets them select multiple variations of a single item in bulk. In this article, we’ll discuss the benefits of using WooCommerce bulk variations order forms on your e-commerce site. 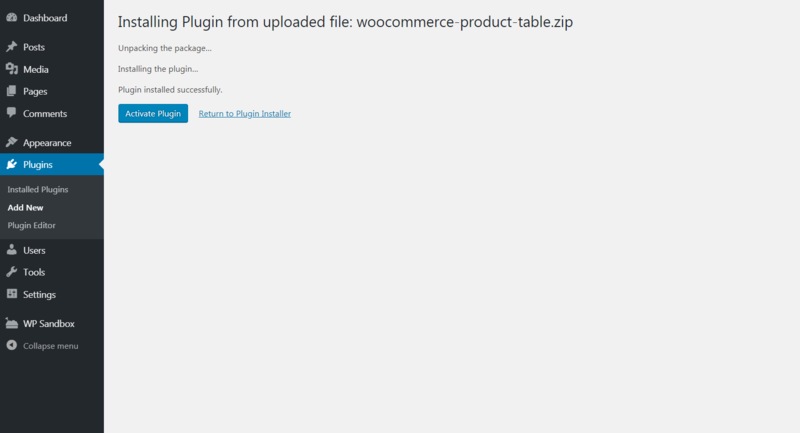 We’ll also provide you with steps on how to create one using our plugin WooCommerce Product Table. Let’s get going! Some online stores sell multiple variations of the same product. For example, clothing stores generally sell items in more than one size. Color and material are two other common variations. You might even consider offering e-books, albums, games, or movies as variations on a generic product. By default, WooCommerce only enables customers to buy variations of an item on its individual product page. This can make the buying process long and complicated for customers who have a lot of purchases to make. Customers can select as many items as they want in one place, streamlining bulk variation purchases. 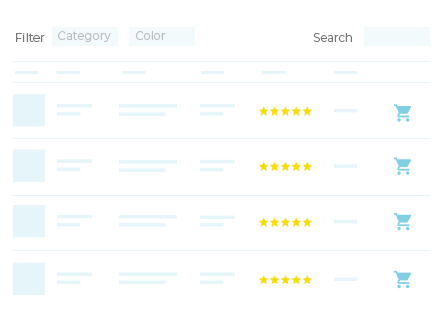 By enabling visitors to view all your product variations on a single page, you can increase the chance that they’ll see multiple options they want, and purchase more items. Simplifying the checkout process makes it more likely that customers will buy additional products. A smooth checkout process also improves your e-commerce site’s user experience, encouraging customers to return time and time again. This way, customers can still see all the available variations in the order form, and quickly add the ones they want to their carts in bulk from a single page. Check out the Woo Product Table demo! To get a better feel for what we’re talking about, let’s look at two examples of sites that use tables to display WooCommerce bulk variations in a single order form. They exemplify the two methods of creating bulk variation forms: listing variations in individual rows, or using a dropdown menu to make variation selections. With this WooCommerce bulk variations form, Davora enables its customers to quickly purchase cards in different colors and styles. Instead of having to select each variation individually, add it to the cart, and then return to the product page for the next one, customers can simply click the Add to Basket button for each variation right in the table. In this form, customers can select which size mug they want from a drop-down menu and add it to their cart. If they want the same mug in multiple sizes, they can then simply keep making choices and hitting Add to Cart. This makes for quick-and-easy ordering, both for individuals and vendors. 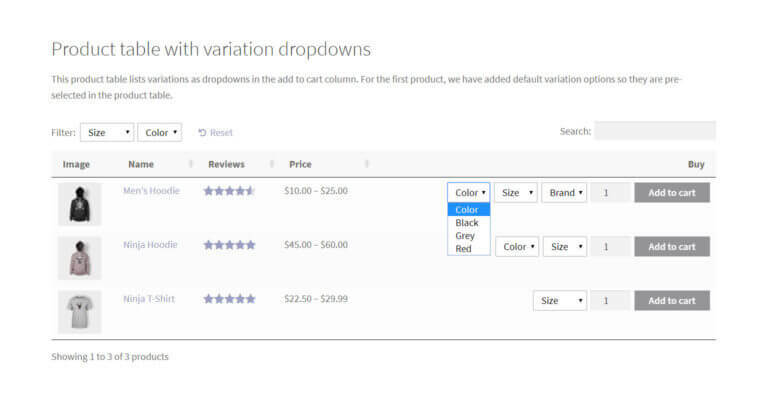 Creating product variations is something any WooCommerce user can do. In the steps below, we’ll focus on using our plugin, WooCommerce Product Table, to add those variations to a table and create a bulk order form. An easy-to-use plugin for WooCommerce bulk variations forms. After purchasing the plugin and downloading its .zip file, head over to your WordPress site. Make sure you have your license key handy as well (which should have been emailed to you). Next, you’ll want to head over to your plugins list. Beneath WooCommerce Product Table, click on Settings. On the resulting screen, you should see the field where you’ll need to enter your license key. Copy and paste the key there, and then scroll down and click on Save Changes. Now that your plugin is fully installed and activated, you can get started on building your WooCommerce bulk variations form. One of the great things about WC Product Table is how customizable the plugin is. There are several useful and easy-to-access settings you can configure, which helps you make your product table just right for your online store. Individual rows offer the most information, while drop-down menus keep your order form short and tidy. Which option you use is completely up to you. Once you’re done customizing the settings on this page, don’t forget to save your changes. The last thing you’ll need to do to get your order form up and running is add it to a page on your website. 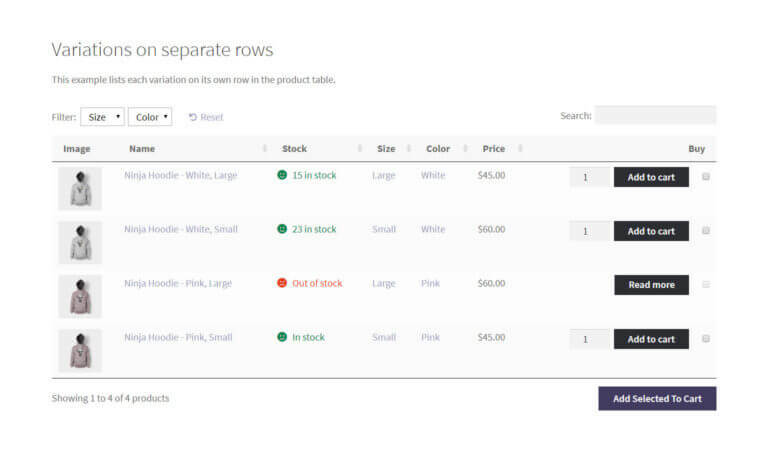 WooCommerce Product Table makes this simple – all you need is a single shortcode. This will display a table on the front end of your site, and pull in all the settings you tweaked during the last step. Your WooCommerce bulk variations form is now ready for your customers! If you add or remove products or change settings, the table will update automatically. A WooCommerce bulk variations form is the easiest way for customers to purchase several varieties of a single product. By improving this process for your online shoppers, you can provide a better customer experience and increase your sales. Install and activate the WooCommerce Product Table plugin. Configure the settings for your product table. Add your bulk variations order form to any page. 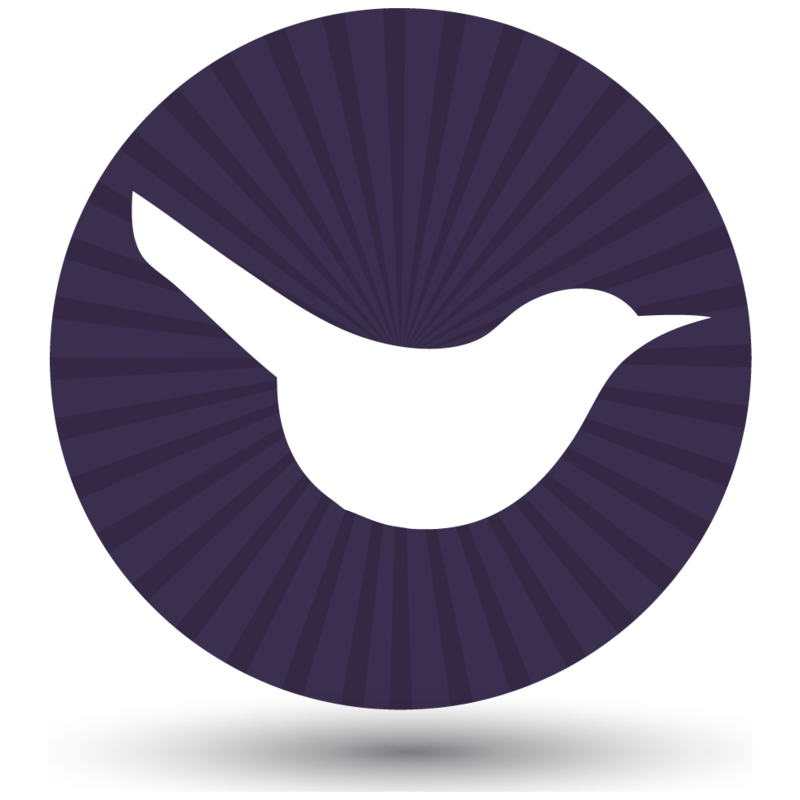 Start create WooCommerce bulk variations forms today - the easy way! Do you have any other questions about creating a WooCommerce bulk variations form for your e-commerce site? Ask them in the comments section below!